Dolfins Luna Park opened in 2014 and is located at Ayia Napa harbour. 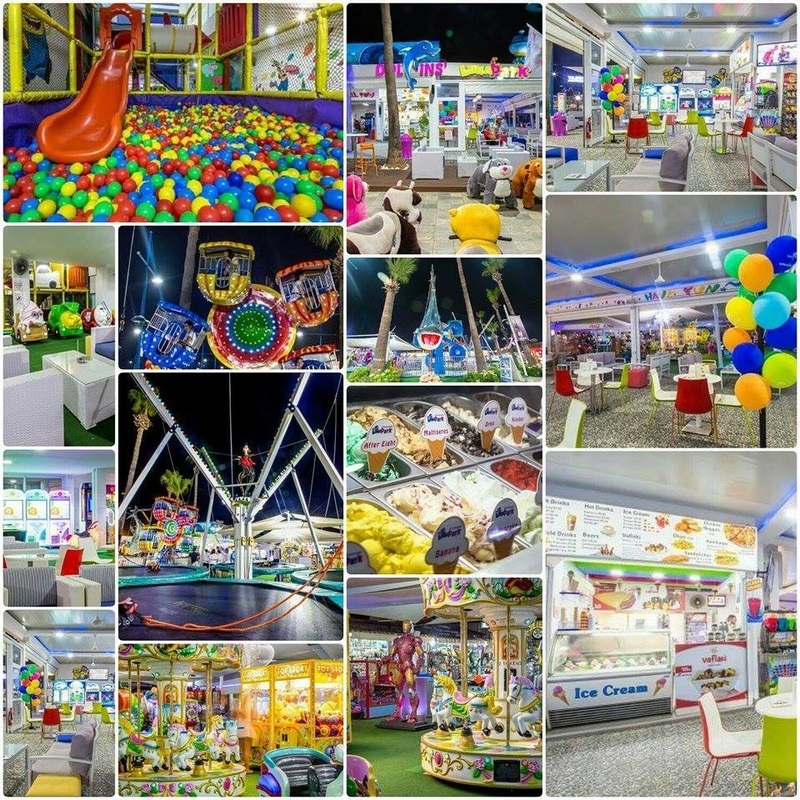 It has loads of attractions, games and activities for small children to enjoy including a soft play area, trampolines and small carousels. There is an ice cream parlour and seating area for taking a break and for older children (and adults) there are also video games. One of the most popular features are the huge models of animals, robots and characters which make for a great photo opportunity.